The annual FIRST competition kicks off Jan. 6 in Hooksett. An annual robotics competition that encourages young people to engage in science, technology, engineering and math gets underway Saturday in Hooksett. 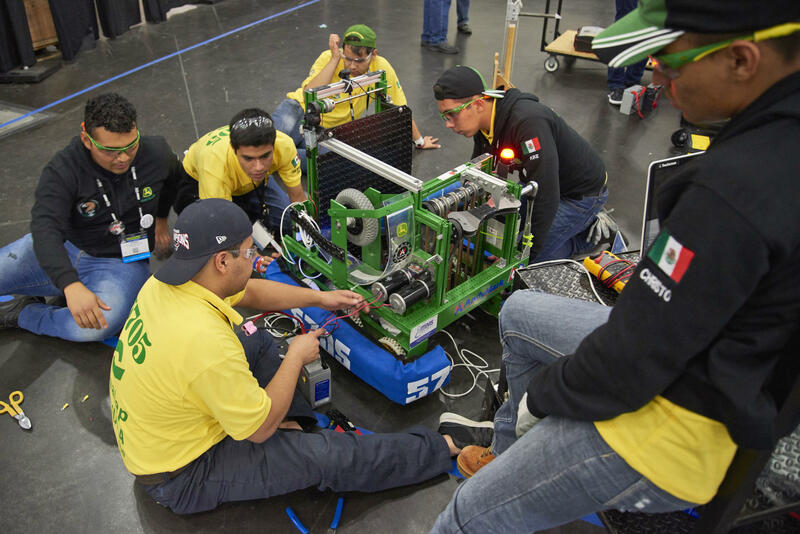 The FIRST Robotics Competition founded by Dean Kamen requires teams of students to build and program robots to perform challenging tasks against a field of competitors. The goal is to inspire interest in science and technology through a program that focuses on leadership, teamwork and communication. Republican Gov. Chris Sununu and Democratic U.S. Sen. Maggie Hassan are speaking at Saturday's competition kickoff. The 2018 championships will be held in April in Houston and Detroit. FIRST stands for "For Inspiration and Recognition of Science and Technology." We discuss the top stories in science, technology, the environment and energy in New Hampshire in the past year. From the eclipse that captivated the nation's attention to the biofabrication industry gaining steam in the Manchester Millyard, we look at top stories nationally and in New Hampshire, including extreme weather, solar power, and a bitcoin bubble. Plus intriguing discoveries in outer space and in the human body. Starting an after-school robotics club isn’t cheap. Students need tools and robot kits, and if they want to compete against other schools, they need to pay travel and entry fees. Lawmakers, however, are of the opinion these kinds of clubs are a smart investment in the state’s future workforce, and they are ready to chip in. The Robotics Education Fund, which was initially created in 2014 but failed to get off the ground, has been rebooted and is now accepting applications for schools looking to get seed money to start a team.